KUALA LUMPUR KEPONG BERHAD, a Malaysian multinational listed on the Main Board of the Bursa Malaysia with business activities in plantations, resource based manufacturing and property development in Malaysia and overseas, is now offering career opportunities within the Group for enthusiastic individuals with a desire to work in a challenging environment where they can maximize their talents. Conducting audits either independently or as part of a team as determined by the Internal Audit Plan. Scheduling audit activities to attain goals and objectives. Preparing audit reports outlining audit findings. Degree in Finance/Accounting or professional accounting qualification. Computer literacy and knowledge in CAATs would be an added advantage. A team player requiring minimum supervision. Willing to transfer within Kuala Lumpur Kepong Berhad Group of Companies and to serve in Indonesia. 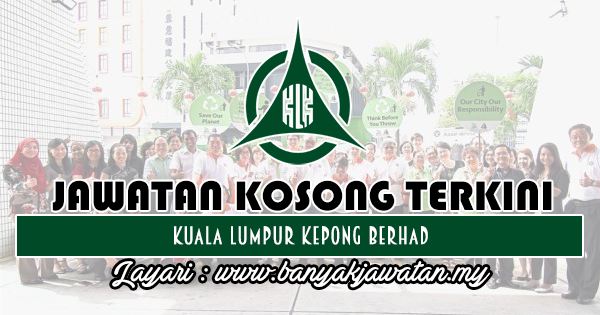 0 Response to "Jawatan Kosong di Kuala Lumpur Kepong Berhad - 23 Ogos 2018"